We are still feeling the affects of that late night on Sunday here at Winchester Golf Academy. – Sergio plays the all-new 2017 M2 driver (9.5°), equipped with his usual MRC Kuro Kage Silver TiNi 80XTS shaft. Garcia also plays 15° & 19° ’17 M1 fairways; he seeks consistency in his weighting, so both his 3 and 5-woods have the same shaft as his driver. 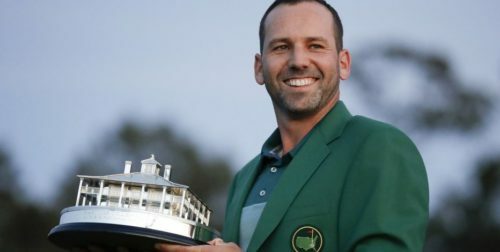 – Garcia added the Spider Tour red putter to his bag at the WGC Match Play and used it to tame Augusta National’s diabolical greens. He finds it easier to aim and put consistent roll off the face. This was the eighth consecutive week that Spider was the #1 putter model on PGA TOUR. 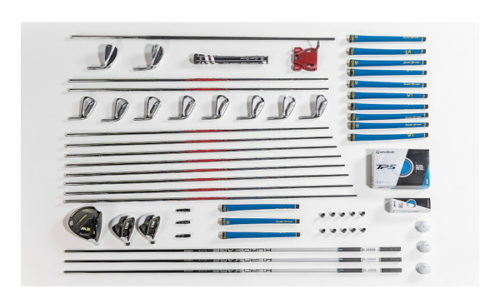 – Sergio plays the new P750 irons (3-PW) with Nippon N.S. Pro Modus Tour 130x shafts, utilizing counterbalancing throughout the set as it helps him with his transition and gets the club more on plane. – Unlike many of his fellow players, Sergio only opted for two wedges this week (in addition to his PW) as he feels he can hit all of the shots he needs to with just two lofts. He had 2 Milled Grind wedges in the bag; 54° & 58°. – This was the sixth win this season for the new TP5/TP5X ball, with Garcia now having two of them (Dubai Desert Classic).